To see the real world in films was a pleasurable thrill for cinema audiences at the beginning of the twentieth century, and as a result, the production of non-fiction films reached an all-time high, both in terms of quality and quantity. 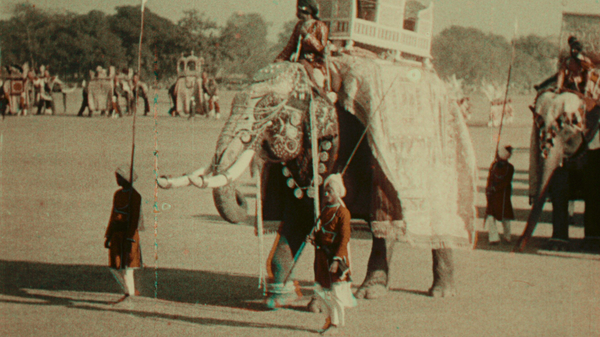 This programme of striking shorts comes straight from this year’s II Cinema Ritrovato festival, and includes some brand new restorations by L'Immagine Ritrovata labs from the original Kinemacolor black and white nitrate positive prints. From a royal procession in India and the everyday life of Eritrean troops in Libia to the beauty of Italian waterfalls, expect a grand tour of the world, in colour. This event is presented with Bologna’s Il Cinema Ritrovato the inspiration for Cinema Rediscovered with thanks to Cineteca Di Bologna.